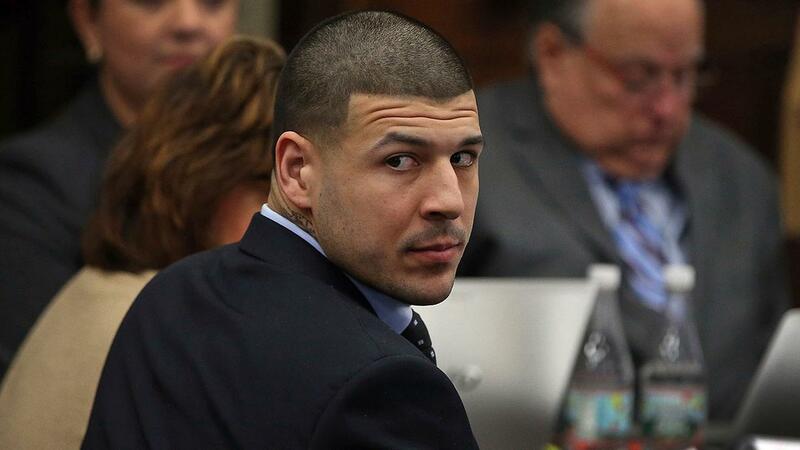 NFL star Aaron J. Hernandez commits suicide in prison just days after he was acquitted of double murder in 2012, on the same exact day that his teammates were scheduled to be honored, at the white house for their victory in the super bowl. Hernandez, 27 year old,was found not guilty Friday of the two counts of murder in that case, though he was charged and convicted for an illegal possession of a firearm. He was already serving prison with no parole for shooting semi professional football player Odin Lloyd in 2013 . The young star was found hanging in his cell at the Souza Baranowski Correctional Center in Shirley, Massachusetts. He left nothing behind no one found a note or some type of evidence of what had caused his suicide. Hernandez was not in suicide watch because there was no reason for it. No one knew about his decision in ending his life not his family or lawyer so what caused Hernandez to end his life? “Hernandez was looking forward for a second chance to prove his in-nonce.” said Baez (his lawyer). ” Those who loved and cared for him were heartbroken and devastated when they heard about his death”. Maybe Hernandez was in an emotional stage where his thoughts weren’t clear so it cause him to commit suicide. Maybe knowing that by killing semi professional football player Odin Lloyd in 2013 and serving a life sentence in prison made him commit suicide or the fact that he wasn’t going to be able to see his 4 year-old daughter Avielle Hernandez and his fiance Shayanna Jenkins- Hernandez. Did his actions in committing suicide made him think that one day he will be asked by his daughter why did he go to prison? Possibly it was that he would only have a parent relationship with his daughter only in visiting hours? or that one day when she is older that she might see him or have the thoughts that he is a murderer? Is so sad to hear that someone take his life. As you said he must be passing for an emotional stage and he maybe he thought this was his only way to feel free or in peace. I think in his family in his daughter that little girl most feel really bad. When i read this story , it made me think of people i met before and now they are death because they ended up with their lives too. Their Emotional control failed because of culpability of wrongdoing. Many times unfairly some people are arrested for acts they have never committed.Unfortunately they live a large part of their lives inside a prison. Over time, feelings and emotions become their worst enemy of loneliness. Without anything to do or anyone who listens ,it Difficult to live in a world surrounded by people who only know how to judge you rather than see the good part.To conclude and fix that situation: Only solution is no to exist anymore.